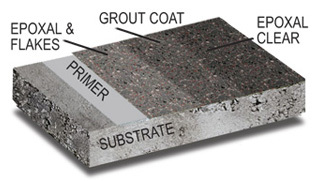 Kromotex is a three-dimensional seamless flooring system. It is composed of an epoxy base, broadcast coloured flakes, and multiple clear glaze coats. 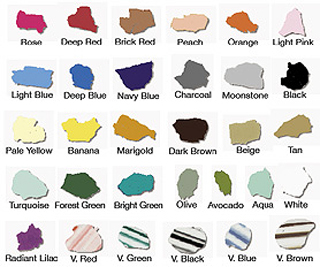 It is available in 32 pre-selected decorative colour patterns. Thickness range: 1.5 - 2 mm. (60 mils - 80 mils). Decorative, with a wide selection of patterns to suit any taste. Tough wear resistant and resilient. Seamless and monolithic. Ideal for maintenance of sanitary environments. No grout or seams which harbor bacteria & mildew growth. Patterns possible with masking tape and a little imagination. Permanence of the colour and design. The three dimensional effect is protected with a heavy-duty clear topcoat. Low Maintenance. It's easily cleaned with commercial and household cleaners. Impervious to spillage of water, oil, grease and most chemicals. Ease of Application. No special skills or costly tools are required. Excellent adhesion to practically any properly prepared substrate. 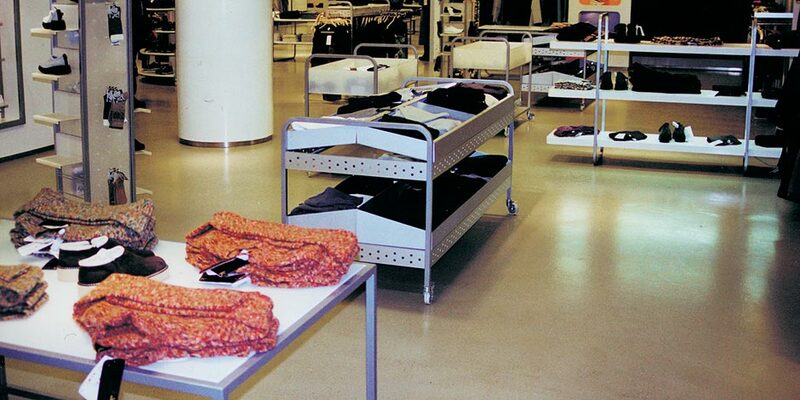 Seamless flooring for residential and commercial areas including kitchens, rec rooms, basements, children’s play areas, stairs, porches, garages, pool decks, cottage floors, cafeterias, restaurants, showers, change rooms, offices, hallways, schools, retail stores, kennels, food production and packaging areas. There are endless uses for this product. 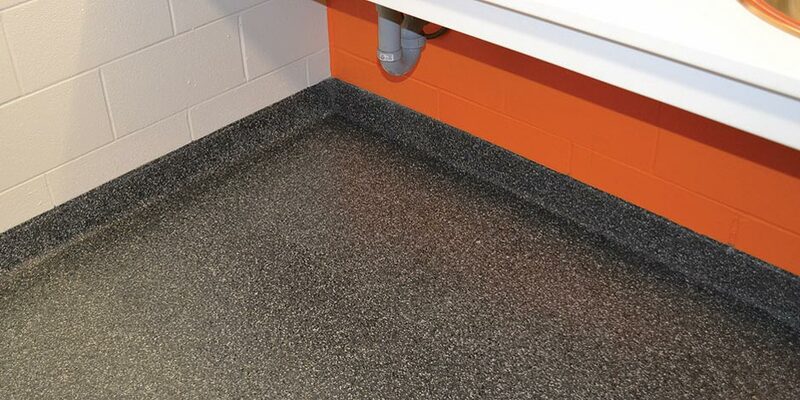 A quartz aggregate, seamless flooring system, with a Kromoquartz SLD troweled base, and a top layer of Kromotex. 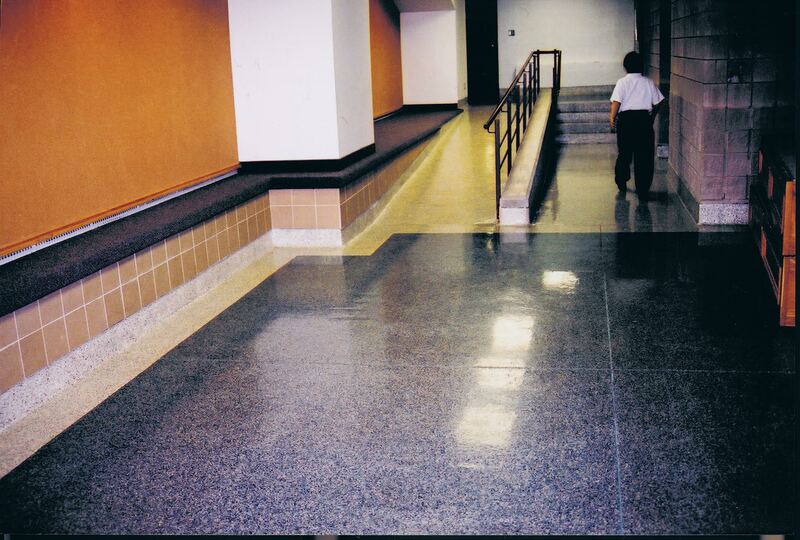 The surface is sealed with clear EPOXAL for a decorative, impact resistant, durable, easy to maintain finish. Thickness range: nominal 1/4 in. (240 mils). Seamless and monolithic. Ideal for maintenance of sanitary environments. No grout or seams which harbour bacteria & mildew growth. Permanence of the colour and design. The three-dimensional effect is protected with a heavy-duty clear topcoat. Seamless flooring for residential and commercial areas including kitchens, rec rooms, basements, children’s play areas, stairs, porches, garages, pool decks, cottage floors, cafeterias, restaurants, showers, change rooms, offices, hallways, schools, retail stores, kennels, food production, and packaging areas. There are endless uses for this product. NPC decoratve flakes options. 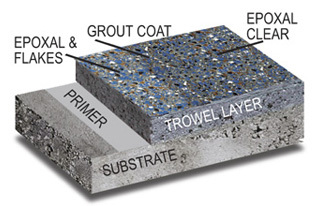 The blended flakes can be crushed for a finer textured floor or left full size. The decorative flakes are broadcast into the wet EPOXAL base coat to provide the desired effect. A sparse broadcast reveals a large amount of the base coat, while a full broadcast reveals little or no base coat. 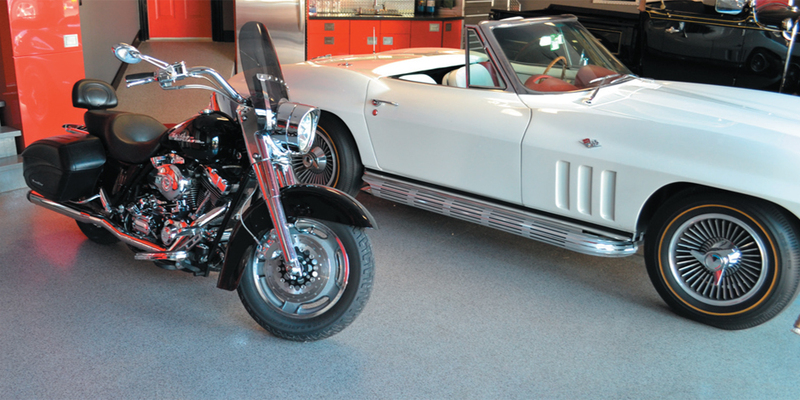 A wide variety of top coats are available to suit most requirements, including epoxies, acrylic and polyurethane technologies.